This is part 1 of a three-part series on Russian comics by Maria Evdokimova. Part 2, “What comics are published and read in Russia?” and part 3, “Introducing Russian comic artists”, will follow soon. This is an interview about comics in Russia with Misha Zaslavskiy: a script writer, editor, and the head of a comics studio. Misha is also interested in the history and theory of comics. Some of his main projects are the children’s magazine Nu Pogodi! (“Just You Wait!” – here and elsewhere – translator’s note), that ran from 2003-2010, and a comic series inspired by the animation film Masha I Medved (Masha and the Bear), which is created in collaboration with the comic author Askold Akishin. His studio works can be found here. Could you please tell us about when, where, and in what form comics first appeared in Russia? To briefly characterize the history of graphic literature in Russia: over a period of five or six centuries it had been developing in various forms of proto-comics: icon paintings, medieval book miniature, popular woodcut prints called Lubok, illustrated periodicals, and filmstrips. From approximately the latter half of the 1980s up to now we can speak about Russian comics establishing itself in its modern format. 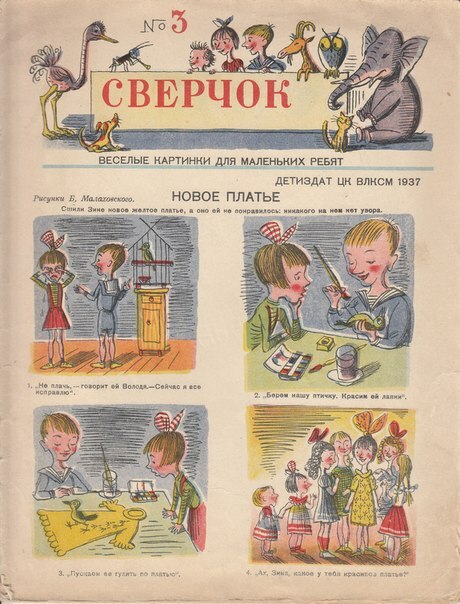 The first Russian magazine consisting mostly of pictured stories was Sverchyok (The Cricket), which appeared in 1937 with a subheading “Funny pictures for little kids”. It drew many famous children’s writers and illustrators together, but, unfortunately, it was shut down after five issues. The editor-in-chief, Nikolay Oleynikov, and the senior artist, Bronislav Malakhovsky, were arrested on fabricated charges of espionage. They were convicted and executed. Pages of Sverchok magazine with Bronislav Malakhovskiy’s comics Umnaya Masha (Clever Masha) and Alexandr Nalyotov’s comics Chelovek v Peshchere (Man In a Cave). Public domain. The birth of Russian comics can be traced to September of 1956, when the famous cartoonist and illustrator Ivan Semyonov, with the support of his colleagues, published the first issue of Vesyolye Kartinki (The Merry Pictures). As the first art editor of Vesyolye Kartinki, Vitaliy Statsinskiy recollects that even at this stage of the project the magazine had been planned exactly as a comic. In the very first issue of The Merry Pictures, presumably the most popular Soviet comic series Petya Ryzhik (Petya the read-headed) by Ivan Semyonov saw the light of day. What were the key development stages of this art form? Could you mention the most outstanding examples for each of those stages? The first outstanding example of a narrative told via images can be found in medieval hagiographical icons. A centerpiece would portray the holy face, and around that – in the margins – the key events of the saint’s life were depicted. 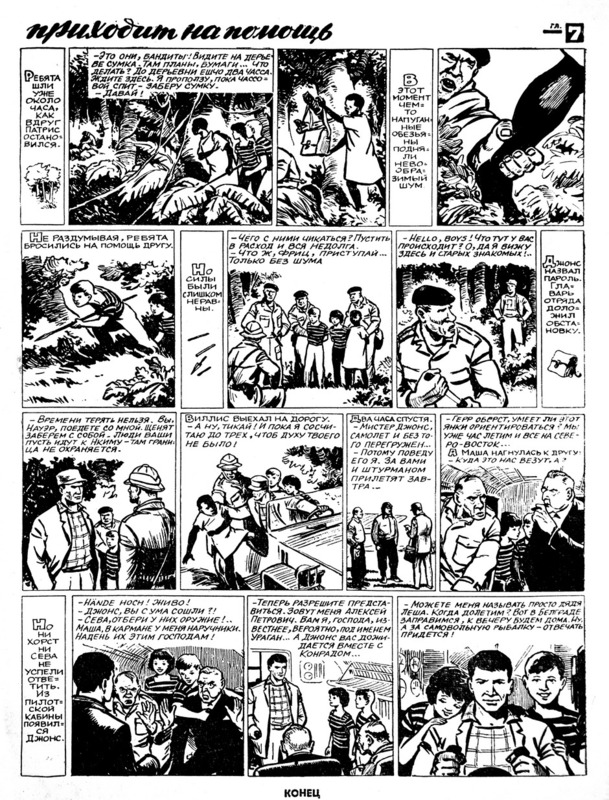 Those hagiographical border scenes were arranged in a chronological order traditional for a comic strip, from left to right and top to bottom, and the images were often accompanied by explanatory captions. Iconic painting techniques were adopted for the medieval book-miniatures and manuscript design. A multi-branched set of patterns evolved, in which numerous elements such as arrangements of objects, people, their gesticulation and entourage played not simply an illustrative, but also a significantly informative and narrative role. Hagiographical icons with various border scenes: Nicolas the Wonderworker (the 14th century) and Our Lady of Saint Theodore, with legendary tales, text, and scenes in the margins (the 18th century). Public domain. By the 17th century proto-comics gained popularity in the form of woodcuts (Lubok prints), representing images and series of images on any and all subjects, from news and religion to fairy tales and satire. The genre of Lubok – which at first often received stiff opposition from ecclesiastical and social censorship – was met with official recognition during the war with Napoleon in 1812, when it was considered as an effective propaganda weapon against the enemy. It rapidly developed and by the end of the 19th century it became one of the most popular forms of mass folk literature. 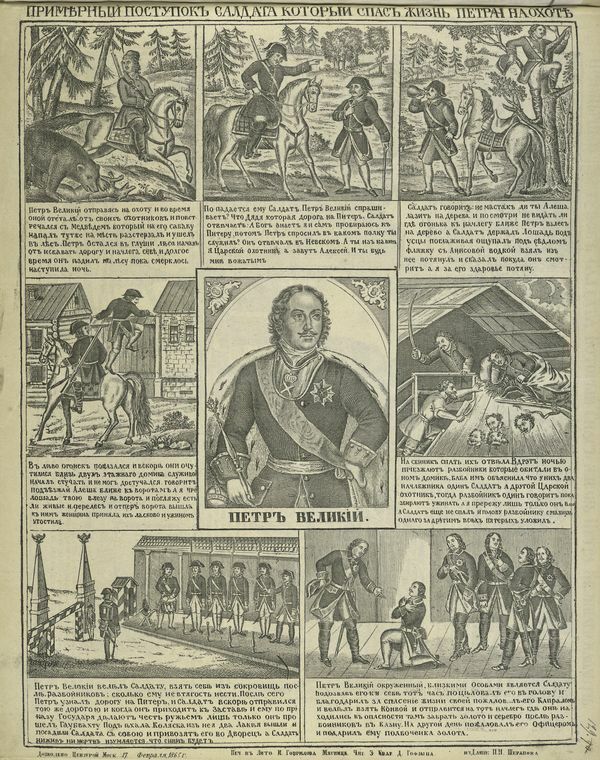 Two examples of a popular woodcut plot about a soldier who once saved Peter the Great from robbers, 1860s. Public domain. 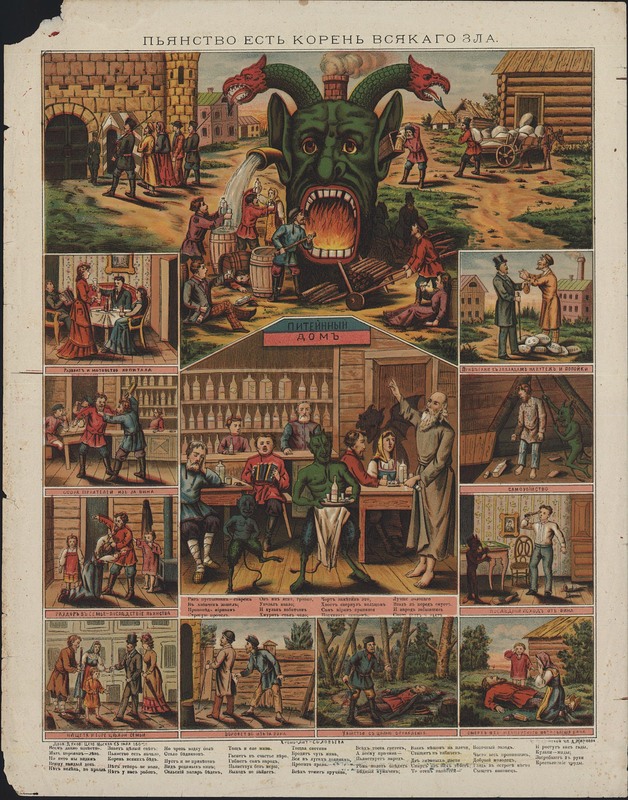 Popular Lubok prints from 1884 and 1902 about the harmful effects of drinking alcohol. Public domain. 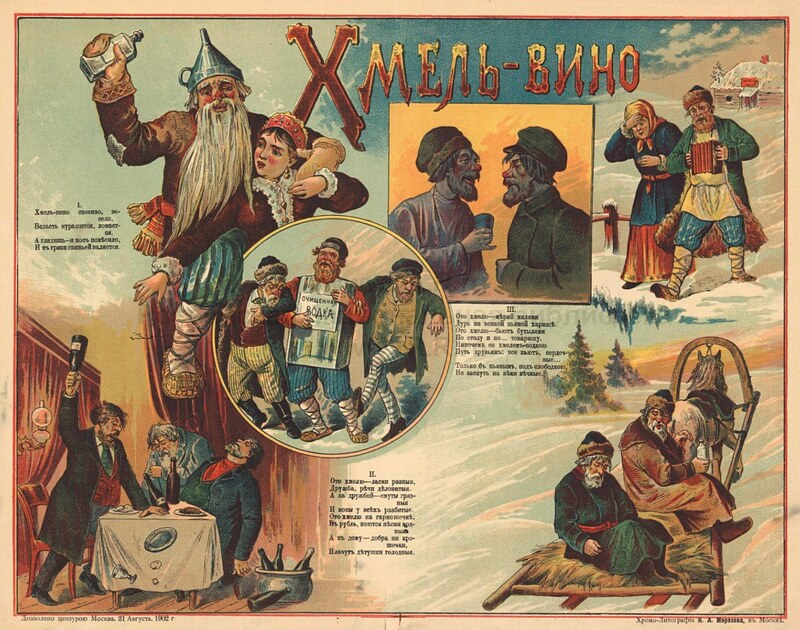 During Soviet time filmstrips were widespread, picturing stories with informational, educational, and fictional content, printed on positive films and used for showing with a projector. They truly flourished in the 1950s, when more than a thousand filmstrips titles appeared every year. Their total print run amounted to as much as 20 million film copies, and, up to the 1980s, this was rapidly increasing. Both the filmstrips and the pictured stories of Soviet magazines employed for the most part proto-comics methods: a sequential order of pictures with captions or pictured scenes without words. The classical form of comics, with its various forms of text organization through devices such as speech balloons and captions, specific graphics and layouts of pages, and complex dramatic conception, began actively evolving only in the late 1980s. 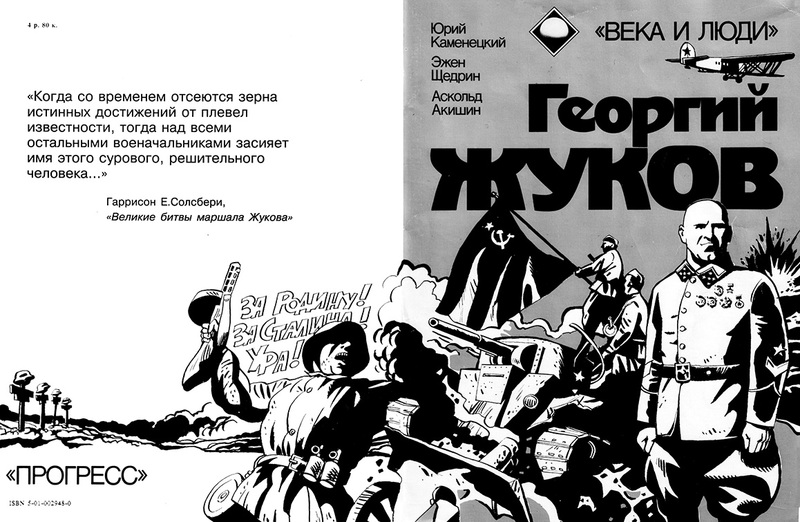 The cover of the graphic novel Georgyi Zhukov, from a historical series published by Progress Publishers (1991, artist: Askold Akishin, script: Yuri Kamenetsiy and Ezhen Shchedrin). Used with permission from Askold Akishin. 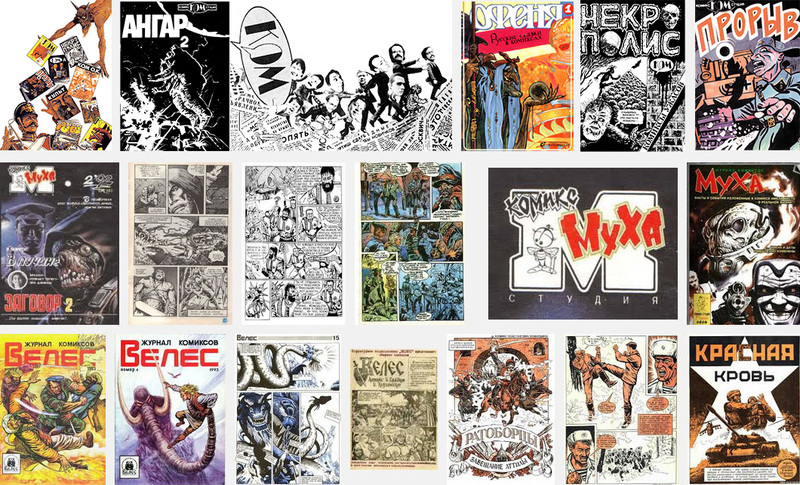 The first wave of comics formation in Russia in the 1980s moved in several major directions. A number of publishing houses licensed foreign comic series and opened ‘pictured literature’ departments (‘pictured literature’ is one of the Russian synonyms for comics), among which “Progress”, “Panorama”, “Photofilm”, “Maсhaon”, and “Egmont Russia”. An important development was the formation of creative teams of comic authors. Coming together on an informal basis, those groups of comic artists became a sort of a talent pool, a source of manpower. These groups of artists were in high demand with the publishing companies of the time. Moreover, comics studios also published their own series. However, practically all the comics projects were put on hold after the (financial) crisis of 1998. Studio editions of the 90s: “KOM”, “Mukha”, “Veles”. Used with permission from Sergey Kapranov, Vladimir Sakov, Vitaly Mykhametzyanov, and Igor Yermakov. Comics in Russia further developed due to the global spread of the internet. 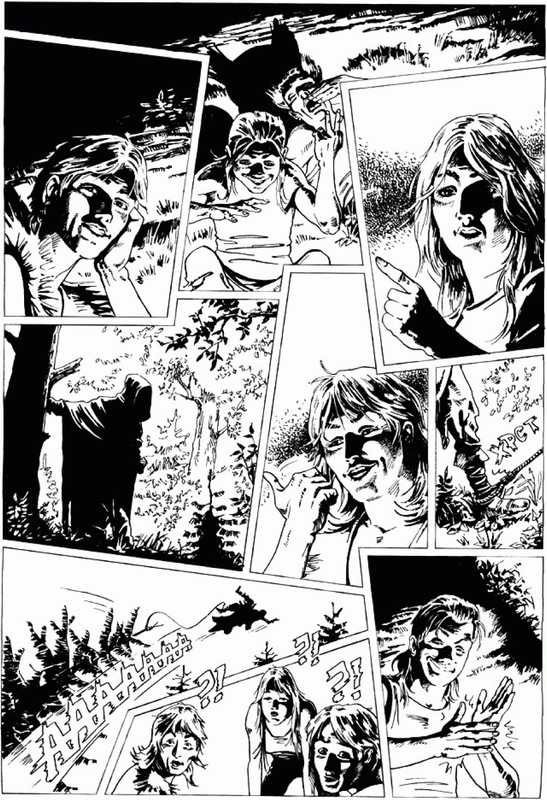 In 1999, the artist Andrey Ayoshin set up Komicsolyot (“The Comicopter”, http://www.comicsnews.org) – a large internet library of Russian comics. The website’s forum became one of the main discussion and collaboration platforms for comic art fans. Other groups of comic artists and fans appeared after this. The reactivation of comic editions was also important in the development of the comics scene in Russia. From 1999 to 2003, 22 issues of the Russian heroic series in comic book format called Velikolepnye Priklyucheniya (The Glorious Adventures) were published by script writer and the editor Dmytriy Smirnov. Roman Surzhenko, who is now working at new albums with the heroes of the popular European series Thorgal, started his career in this team of artists. 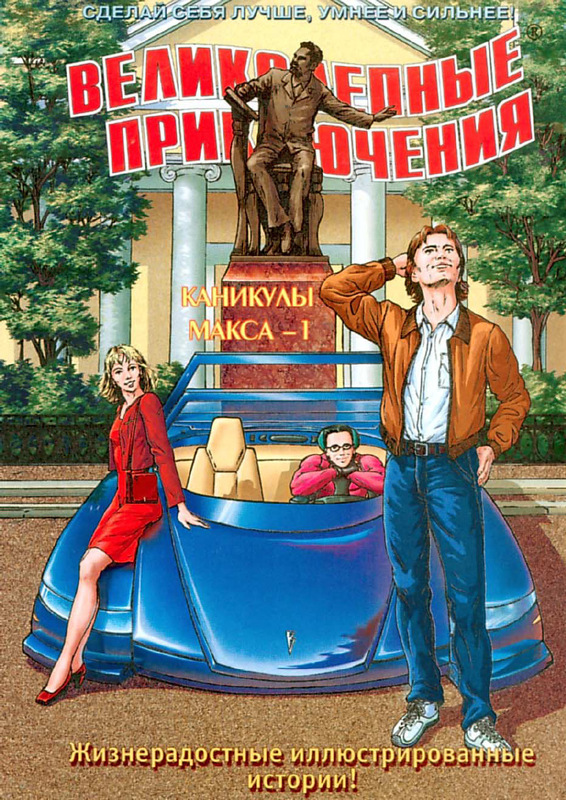 One of the covers for Velikolepnye priklyuheniya (The Glorious Adventures) drawn by Andrey Ross and a page drawn by Roman Surzhenko. Used with permission from Roman Surzhenko. In 2002 the first professional festival KomMissiya (The ComMission) took place. The competitive selection and a number of festival-related events were held online. There is an increasing interest in comics as a cultural phenomenon, as more and more exhibitions and festivals take place. In 2010, the “Comics Center under The Russian State Library for Young Adults” was established, and in 2014 the first Comic Con was held, organized on the principles of American conventions. This event attracted a great number of attendees. The success of Hollywood screen adaptations of Marvel productions, the online activity of specialized communities, festival movement, and publications in the media have stimulated the interest of the publishers towards foreign comics. Over the last ten years the amount of publications of graphic novels and manga has been growing, and now they occupy a considerable niche in the book publishing market. In 2008, periodical comics were at an all-time high, with about 20 magazines in a total print run of 1,5 million copies coming out every month. Translated licensed foreign comics make up a substantial share of those magazines. Among the magazines with Russian titles the record-holder was Nu, Pogodi! (Well, Just You Wait!, from 2004 to 2010) which came out with a circulation of 35-40 thousand copies. Issues of Nu, pogodi! (Well, Just You Wait!) (Advance-Press Publishers). Used with permission from Misha Zaslavskiy. 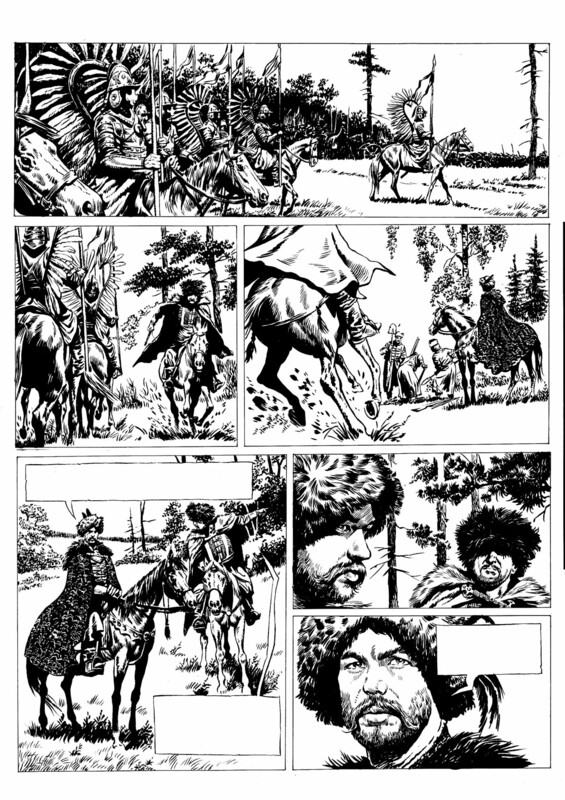 Numerous interesting graphic novels were published, such as Aleksey Kuzmichyov’s graphic adaptation of Boris Akunin’s novel Azazel, Andrey Ayoshin’s comic strips album Komandor Sodis, which was made for a tourist agency, and Roman Surzhenko’s books 1612 (the adaptation of the eponymous movie) and Azart (“Fervour”, which was made in support of a movie script project). Other comics, like those by Igor Baranko, Alexandr Yeryomin, and Askold Akishin, saw the light of the day through publishers overseas like Humanoides Associés in France and Jocker in Belgium. 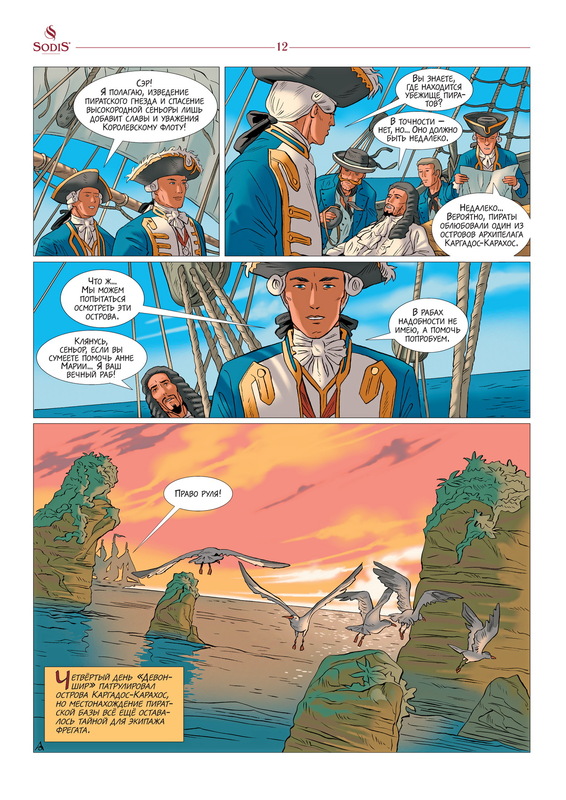 Example pages from the graphic novels Commander Sodis and the Captive of The Mascarene Islands (script by Andrey Berezhanskiy, artwork by Andrey Alyoshin); Azazel (Alexey Kuzmichyov’s graphic adaptation of Boris Akunin’s novel); and 1612 (the adaptation by Vladimir Sakharnov, artwork by Roman Surzhenko). Used with permission from Andrey Alyoshin, Alexey Kuzmichyov and Roman Surzhenko. From 2012 onwards a new development phase has been in progress. It’s connected with the appearance of specialized comic shops throughout the country. A great number of projects have started, involving many Russian artists. The most large-scale of these projects, like the publishing house Bubble, take it upon themselves to attract a wider audience of readers. It’s a popular belief that during Soviet time comics was considered to be the phenomenon of a capitalist, mainly American world, and that was why it was believed to be alien to Soviet people on ideological grounds. And that fact determined the attitude towards comics in our country – which is at least neglectful, if not negative. Is that true? Speaking of serious persecution against comics, I never found any documentary evidence of the fact. In the 1930s a number of outstanding artists, who stood at the origins of Russian comics, became the victims of political repressions, but comics were not the reason. In the USSR, Western comics, mostly American ones, were generally criticized, but the works of such distinguished authors as Jose Cabrero Arnal, Jean Effel, Herluf Bidstrup, and Ollie Harrington were willingly popularized, since they were communists. In the Great Soviet Encyclopedia the magazine Vesyolye Kartinki was cited as an example of comics. But of course, official rejection did take place. 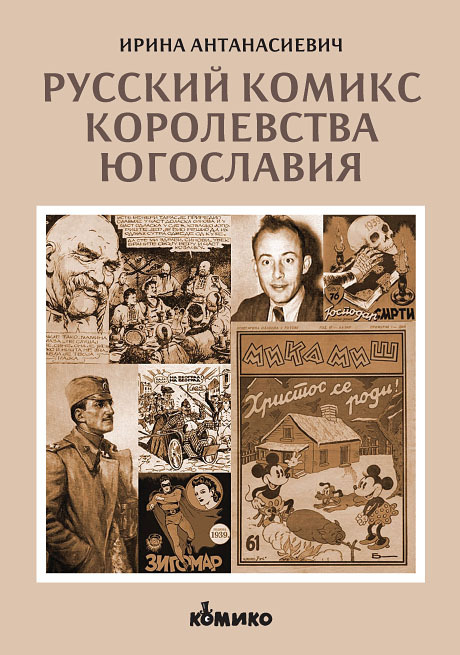 One of the founders of Yugoslavian comics, Yuri Lobachyov, made an attempt to serially publish a story called “The Hurricane Comes To The Rescue” in the children’s magazine Kostyor (The Campfire), but had to shut down the publication mid-course. Though ideologically, by Soviet standards, there was nothing blameworthy in Lobachyov’s story. On the contrary, it criticized colonialism. The disapproval of the members of the committee was caused by the visual form of presentation of history through comics. The final chapter of the comic book “The Hurricane Comes To The Rescue” (Kostyor magazine, July 1996 issue). Used with permission from Sergey Lobachyov. Has the popularity of comic books in Russia been growing in recent times? If so, why has that been happening? Let’s move from comics in Russia to Russian comics. Has the phrase a right to exist anyway? When we speak about American or Japanese comics, we imply first of all a recognizable style, a fully-developed school but not a territorial characteristic. Is it possible to speak about “Russian comics” within this framework? How was it formed, what was it influenced by? According to a widespread belief, Russian comics are an eclectic mixture of American, Franco-Belgian, and underground influences. It’s partly true, but it should be taken into account that here all the aesthetic traditions mentioned above are refracted through the traditional realistic lens of our literature, painting, graphics, animation, and cinema school, which has been passed on in a greater or lesser degree, directly or indirectly, by all of us. And this fact results in very interesting things. A vivid example of this fact are the fairy-tale illustrations by Ivan Bilibin (1876 – 1942), and although he never created comics, he has built up a unique illustrative style, which still inspires both Russian and foreign comic artists, such as Mike Mignola. Having received an academic education in realistic painting, in his works Bilibin combined decorative pictorial traditions of Russian folk art and Lubok with a new trend of Art Nouveau style which was gaining popularity at the time, with the aesthetics derived from Aubrey Beardsley’s graphics and Japanese prints. This combination resulted in absolute, original masterpieces. 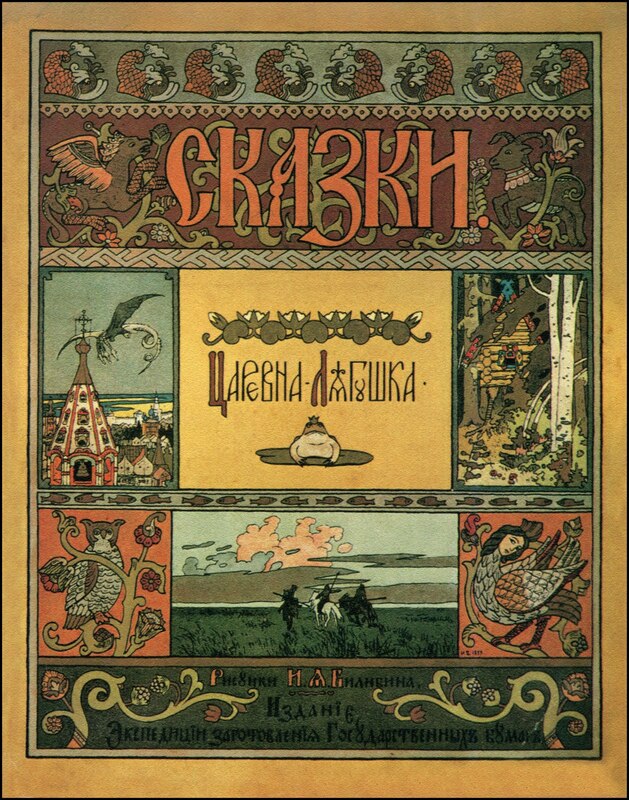 Bilibin’s cover, combining the aesthetics of Art Nouveau with the composition of hagiographical icons and anticipating multifaceted techniques of comics page layout. Public domain. Could you talk a bit about the representatives of Russian comics and their most significant works? 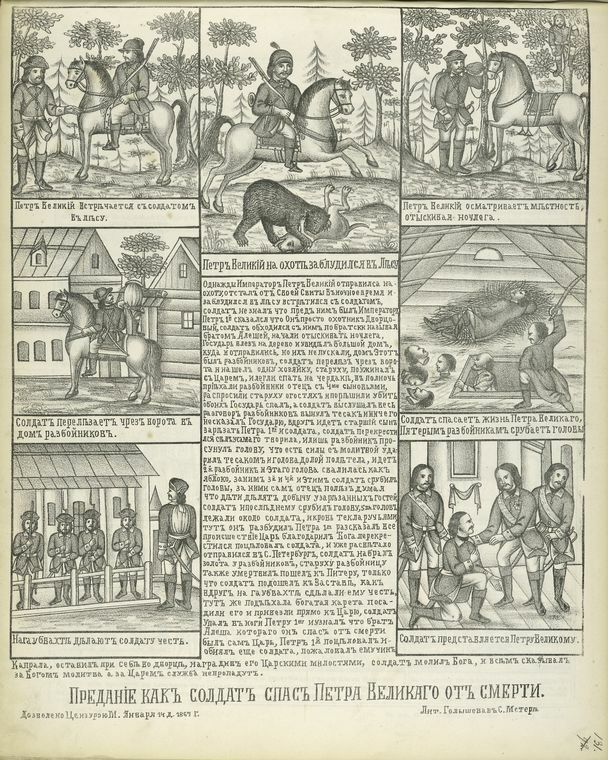 Among proto-comics the grandest work of graphic art was The Illustrated Chronicle of Ivan the Terrible (also known as the Tsar-Book), created in the second half of the 16th century at the direction of the Tsar for his royal children. More than a dozen scribes and about ten artists worked on the Chronicle. 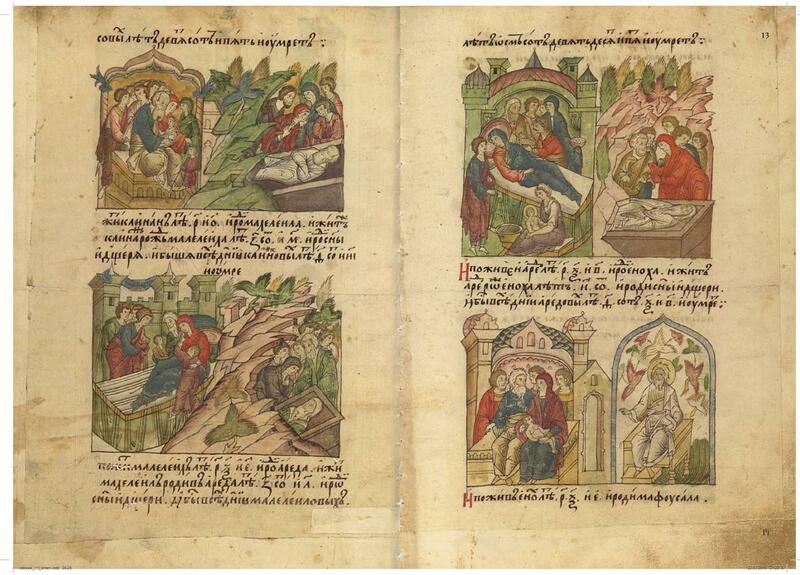 In ten volumes, The Chronicle retells the world and Russian history beginning from biblical times, and the pictorial material occupies about two thirds of the whole content – some of the depicted events in the Chronicle were described by means of illustration only. The opening of “The Illustrated Chronicle of Ivan the Terrible”, also nicknamed “The Tsar-Book”. Public domain. 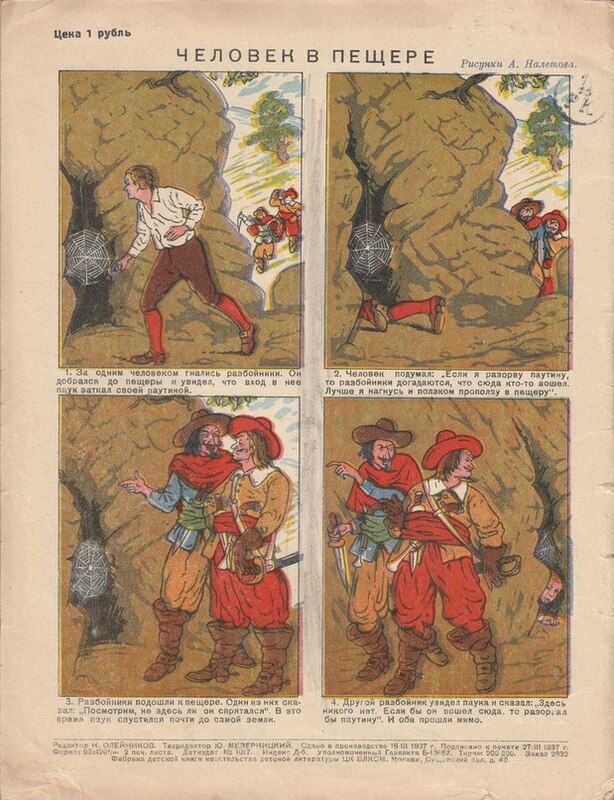 A significant mark in the history of comics was left by Russian emigrant artists who participated in the very rapidly flourishing genre of ‘pictured stories’ in the Kingdom of Yugoslavia, which was unfortunately cut short by the war. These were Yuri Lobachyov, Vladimir Zhedrinski, Nikolay Navoyev, Alexey Rankhner, Sergey Solovyov, and Ivan Shenshin. Their graphic novels came out in large-circulation magazines and newspapers and were republished outside Yugoslavia. They still impress the viewer with their variety of styles, themes, and pictorial designs, some of which have outlasted their time. The cover of a book devoted to the Russian authors of Yugoslavian comics by Irina Atanasievich. Used with permission from Irina Atanasievich. Among the authors of the Soviet period, the illustrator and animator Yevgeniy Migunov holds a special place. He fruitfully participated in Vesyolye Kartinki and filmstrip production. Migunov’s distinguished, recognizable style has influenced a huge number of modern comic artists. 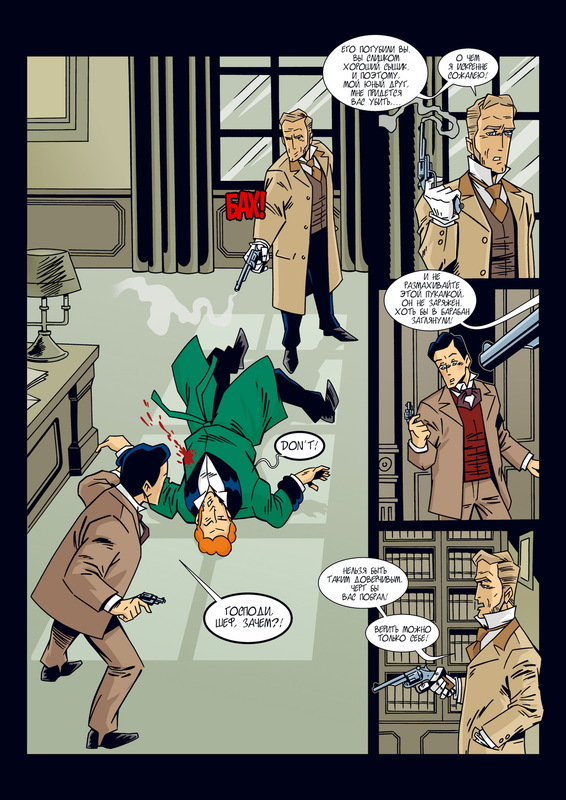 In his comics and filmstrips Migunov used innovative techniques and he actively experimented. We can do nothing but regret the fact that one of the most popular pictured characters, a girl Alisa from Kir Bulychyov’s fantastic tales, has been only implemented by Migunov in book illustrations, but not in comics. Among modern authors it’s hard for me to single out somebody, since as an editor and a script writer I’ve worked and am working with a great number of them, and, of course, as a participant of the process I’m being partial, not objective. What’s happening with Russian auteur comics? What are the trends? Our comics have always been the work of auteurs: many Russian comics have been initiated by authors, rather than being commissioned. Taking into account all the positives of this fact; it is also the main problem. So far it’s developing mostly in isolation from the audience, while in most countries it developed as a kind of popular art – creative predilections were collated with readers’ interests. In this respect, the most remarkable project of the present day time is the cycle of magazines of the publishing house Bubble, which involve a lot of strong artists and script writers and cater for the general reader. Comics is an intermedia art which requires a variety of knowledge and skills. Most of the comics maestros such as Will Eisner, Jean “Moebius” Giraud , Alan Moore, Neil Gaiman, Alberto Breccia, Charles Schulz, Frank Miller, and Mike Mignola, (this list can keep going) – created their most important works after years of work in large-circulation editions. It’s due to active practice and to the skills they were able to acquire, that they developed their own artistic language and style. So far there aren’t any significant artistic schools which could keep up with at least, let’s say, what the Soviet studios did, producing film strips. That’s why the vital issue for the authors remains: how to reach the audience? You see, the thing is that comic strips are stories told via drawings, but you can’t just tell these stories to yourself. Maria Evdokimova is from Omsk, Russia and works in public relations. From 2006-2008 she worked at the publishing house Green Cat, which published series by Sergio Bonelli Editore. In 2007 she prepared the exhibition “Comics in Russia: yesterday, today, tomorrow” in her hometown. At the moment she is working with the Russian comic author Ivan Eshukov.